Premises Liability | The Law Offices of Daniel J. Harris, P.C. Whether you’re walking up to a person’s front door or walking onto the lot of one of your favorite well-known establishments, you maintain a basic assumption of safety. Yes you may have taken certain precautions like locking your car doors or making sure you’re in a well-lit area, but your vigilance and preparation cannot always protect you. It is in these moments, that you can decide who is on your side. Many accidents, whether preventable or not, come with consequences. These consequences may result in loss of employment, relationship complications, or more serious health concerns. When an unavoidable incident occurs at the hand of another person or party, it is your right to seek counsel from a professional. You must ensure you are taking the necessary steps to regain control of your life, and step up to those responsible. You must choose people who have your best interest at heart to represent you. That’s where we come in. 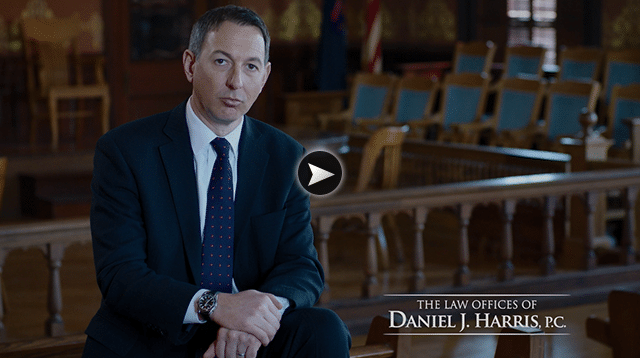 At The Law Offices of Daniel J. Harris P.C., we are dedicated to providing the best possible legal services to all of our clients across Michigan. We have spent years putting together expert defenses for clients, resulting in millions in compensation. Our goal is to assist those who need our help by giving them exactly what they need, a competent team of attorneys with a winning record, whose efforts are focused entirely on the intricacies of their case. By focusing all of our attention on our clients and improving their quality of life, we continue to succeed. At The Law Offices of Daniel J. Harris P.C., we believe that helping others is the foundation to success. That’s why in the event of a personal injury in relation to premises liability, we offer a No Win – No Fee Policy contingency. If for any reason we are unable to win your case, you have no further obligations to us. We want to help you, let us prove it. If you or someone you care about is a victim of a premises liability personal injury and you need assistance confronting the liable party, we are here for you. From our decades of experience to our transparent motivations, allow us to craft a case that can help you fight for justice and your life back. The The Law Offices of Daniel J. Harris P.C. have operated throughout the state of Michigan for nearly twenty years, offering triumphant legal assistance and advice to those in need. Call us now or visit one of our local offices to discover just how proficient we can be when we’re fighting for you.